The Patient Safety Movement Foundation’s mission is to eliminate preventable patient deaths in hospitals. A leading cause of avoidable death in hospitals is unnecessary blood transfusions. We recognize that every two seconds, someone in America needs blood. So we want to join the SleevesUp Campaign to ensure that patients in need get life-saving blood, when appropriate. 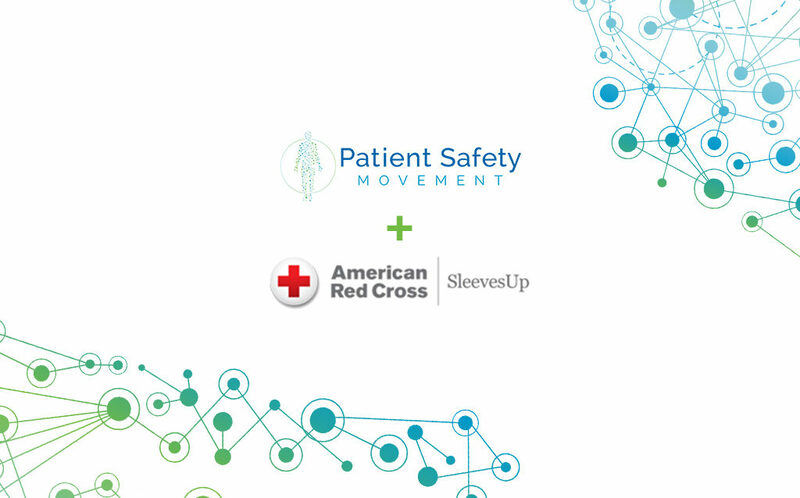 We are asking our friends and colleagues in the Patient Safety Movement’s network to make and keep an appointment to give blood to the American Red Cross. It’s easy to find an appointment that’s near to you and every blood donation can help save up to THREE lives. More than 25 million liters of phlebotomy blood a year are discarded in sewers which are 4 times the amount we transfuse (Levi, 2014). It is estimated that the use of process changes and technology to reduce RBC transfusions can save the U.S. healthcare system in excess of five billion dollars per year, while significantly improving quality and safety (Masimo Corp, 2012). Closing the performance gap will require hospitals and healthcare systems to commit to actions that will result in better healthcare outcomes with efficient use of healthcare resources. In the so far largest multicentre trial (almost 130,000 patients) in the world, it has been shown that the implementation of PBM reduces significantly the amount of transfused blood, costs and kidney damage. Overall, the implementation of PBM is safe and effective (Meybohm et al., 2016). The Patient Safety Movement Foundation supports Patient Blood Management, which is defined by the Society for the Advancement of (Patient) Blood Management as the timely application of evidence-based medical and surgical concepts designed to manage anemia, optimize hemostasis, and minimize blood loss in order to improve patient outcomes. As such, PBM strives to return to the ‘medical model’ where the clinician identifies the disease first and then looks for the appropriate treatment. Anemia is therefore central to PBM. The current default for the treatment of anemia in hospitalized patients in the US, is the transfusion of red cells. Sadly, this is only a treatment offered and does not address the cure of this medical condition. Many patients who get transfused remain anemic and despite the large supportive data, remain also at risk attributed to anemia. Hospitals with robust PBM programs are committed not only to reduce transfusion as a safety measure but recognize and incorporate the diagnosis and proper treatment of anemia. Anemia is an independent risk factor and treatment with transfusion introduces another independent risk factor. A careful assessment of the patient’s condition including the etiology of anemia, should direct the clinician to employ the best and safest therapeutic intervention. Masimo Corp. (2012). Masimo Corporation Estimate. Meybohm, P., Herrmann, E., Steinbicker, A. U., Wittmann, M., Gruenewald, M., Fischer, D., … Zacharowski, K. (2016). Patient Blood Management is Associated With a Substantial Reduction of Red Blood Cell Utilization and Safe for Patient’s Outcome: A Prospective, Multicenter Cohort Study With a Noninferiority Design… Ann Surg, 264, 203–11.